Research is recognising what we yogis have always known – yoga is good for your mental health. One in five Australians aged 16-85 will experience a mental illness in any given year, according to findings from the National Survey of Mental Health and Wellbeing. As practicing yogis, we know experientially that yoga makes us feel better – physically, mentally and emotionally. We understand the importance of the practice in maintaining balance in our lives. And although we may have recognised this for many years, we’re now seeing the rest of the world waking up and adding yoga to their mental wellness toolkit. The benefits of a regular yoga practice are now recognised beyond the physical, with many studies pointing to regular yoga and meditation’s ability to give students the tools to more easily manage the stresses of a modern, tech-driven world. 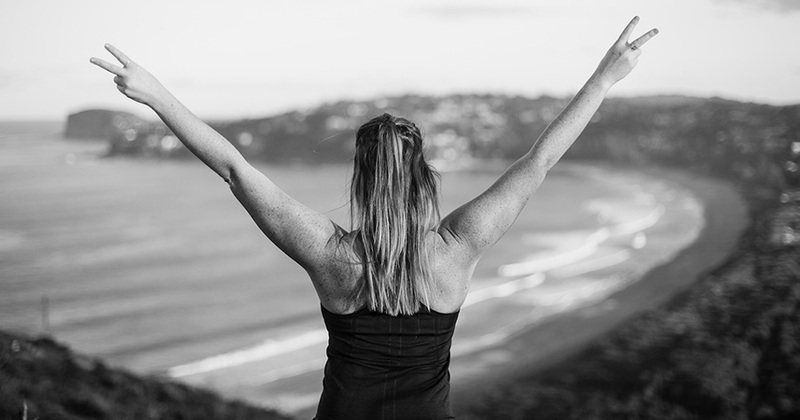 Previously a rather taboo subject, mental health is now something that we are talking about more openly, and the yoga industry is leading the way in showing people how to take control of their lives – no longer feeling trapped by fear of judgment or lack of understanding. The Black Dog Institute is an Australian organisation that is tackling mental health head on. Through innovations in science, medicine, education, public policy and knowledge translation, their goal is to create ‘a mentally healthier world.’ For them, it’s all about reducing the stigma around mental health, teaching people how they can get help and providing preventative tools that people can use to improve their mental wellness. Yoga and meditation are a big part of the Black Dog’s Institute’s work, with a campaign encouraging people to commit to these practices regularly. As part of this campaign, they offer free meditation and yoga clips on their website, which talk viewers through a short practice as well as explaining the benefits. They explain how small changes like the integration of yoga and meditation can reduce stress and improve your overall mood. While yoga helps to take people out of their heads and into their bodies, mindfulness meditation meditation has been shown to change the structure of the brain, improving the way we think and ultimately behave. Leading the way in this category, yoga therapy has truly bridged the gap between Western and Eastern philosophies. Stress and anxiety workshops are becoming more and more common and people are being reminded to pause and breathe – both in and out of the studio. Western medicine is beginning to acknowledge the many benefits of a regular yoga practice and are now undertaking studies to test the effectiveness of yoga and meditation on conditions such as anxiety, depression, and even schizophrenia. The yoga community was not surprised by the results of a 2011 Harvard study showing that just 27 minutes of meditation a day over an eight-week period ‘increased gray-matter density in the hippocampus, known to be important for learning and memory, and in structures associated with self-awareness, compassion, and introspection.’ This research is paramount in the battle against mental health, because it gives both students and teachers the tools to combat relevant issues. Knowledge is empowering, giving so much insight into the different approaches we can take in the yoga studio for every condition. For example, focusing on the breath for an anxiety sufferer may lead to a panic attack, while someone with depression may need to avoid forward folding due to the introspective nature of the pose. There is still a long way to go before yoga will be recognised as a mainstream therapy. When it comes to the treatment of some mental illnesses it may never be able to replace the capabilities of Western medicine. However, for most of us it can at least give us a helping hand with the day to day stresses we face in life. Even if it is just learning to stop, breathe and connect to something much bigger than ourselves. If you or someone you know is in need of crisis or mental health support, please visit the Black Dog Institute or contact Lifeline on 13 11 14 or beyondblue on 1300 22 4636. This feature was originally published in Yoga Journal Australia.